Today am back with a product review of one of my favorite brands – Roots & Herbs. The first product that I tried from them was their Roots & Herbs 49 Herbs Miracle Hair Food. And I absolutely loved it! It helps control hairfall, gives a relaxing feel and promotes good sleep. And then I also used the Roots & Herbs Nutmeg Brightening Under Eye Tailam and it worked so well for dark circles, fine lines and puffiness. I wanted to try more products from the brand. While I got this Roots & Herbs Nutritive Argan Facial Cleanser in one of my subscription boxes. 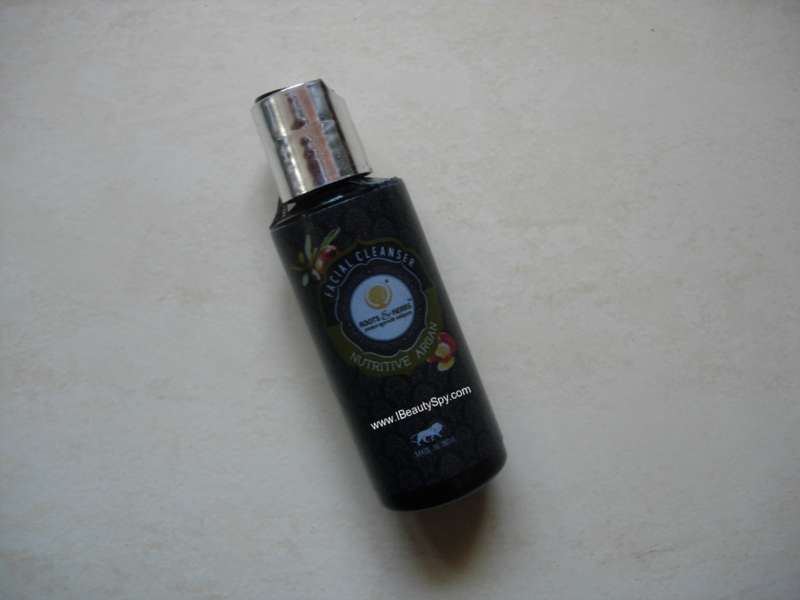 I had kept it in my shelf for a long time thinking to use it winters as it is an oil-based cleanser. Since winters started, I have been using it religiously daily in my night time skin care routine. 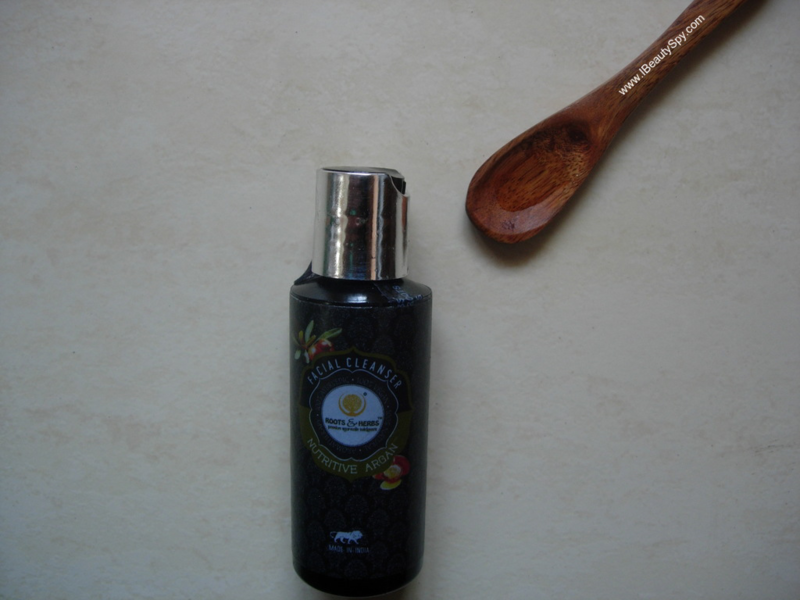 After using it for 3 weeks, here is my score card on Roots & Herbs Nutritive Argan Facial Cleanser. Nutritive Argan Facial Cleanser is a very potent blend of cold presssed oils, natural herbs & steam distilled essential oils. It helps in cleansing, nourishing, removing of dead cells & toxins. As well as removing of make-up delicately. All this without stripping the skin’s natural oil & moisture content. All Roots and Herbs products come in a black packaging. Somehow I don’t find them luxurious. I feel their design and colors can be improved to give more of a luxury touch to the product. Convenience-wise, it is good. It comes with a small press cap which will open a hole and dispenses the right amount of product. 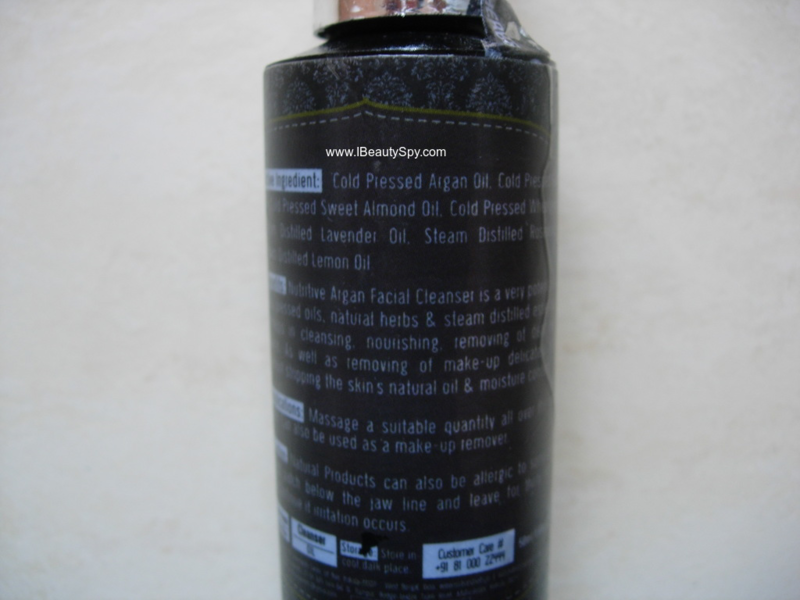 Roots & Herbs Nutritive Argan Facial Cleanser is an oil with a light consistency. The scent is amazing, very relaxing and calming to the senses due to the presence of various essential oils. Since it contains heavier oils like argan, almond and wheatgerm oil, I initially thought it would be a thick oil. But to my pleasant surprise, it is actually light in texture. I use this in evening once I come back from office. I don’t use makeup, but I need an oil-based cleanser to remove sunscreen. Also I like to double-cleanse my face as I feel it helps to deep cleanse pores and skin is absolutely clean. I just take a few drops of Roots & Herbs Nutritive Argan Facial Cleanser on my palm and massage my face with it. And I can’t describe how it feels! After a tiring day at work, doing this oil massage totally relaxes and calms my mind and skin. I have never used such an oil cleanser before. After massaging for a couple of minutes, I leave it on for 5-10 minutes as I want the goodness of all oils to seep into my skin. I then relax for sometime and call my parents (daily routine of phone calls with parents as I live away from them 😀 Do any of you do the same? ). After that, I wash my face with water and then use a face wash as usual. Currently am using the Vichy Ideal White Brightening Deep Cleansing Foam, a couple of samples I got from Smytten 😊. After washing and patting dry, my skin feels wonderful. It is deeply cleansed as well as deeply nourished. After using it for 3 weeks, my face feels so silky smooth to touch. 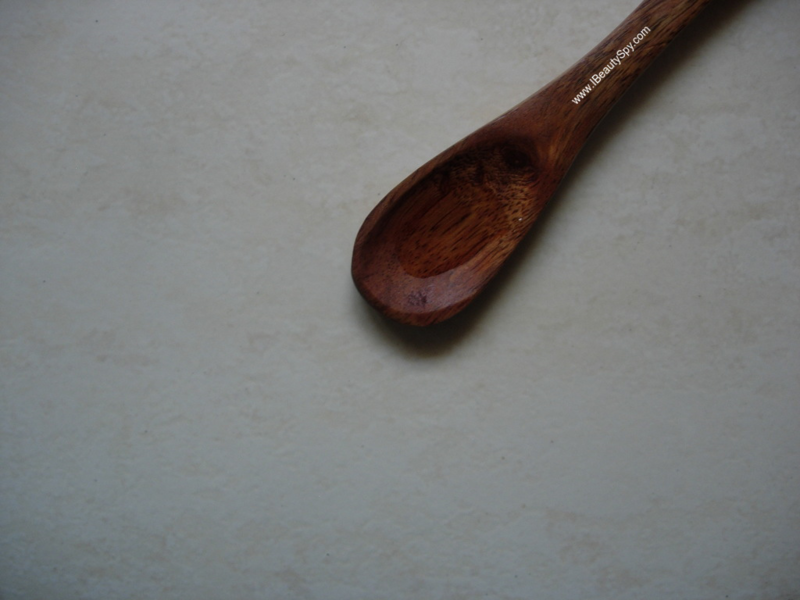 It also has a nice glow and whitening effect (maybe due to presence of lemon essential oil). I have never ever experienced such silkiness in my skin. It also helps to heal sun-damaged skin. Coming to its claims of removing dead cells and toxins, actually it is true. When I apply the oil and massage, I could feel the dirt and grime coming as balls in my palms. Which is why my face feels so smooth afterwards. To test it, I tried skipping my usual face scrub for 3 weeks. And still my face felt so smooth and clear. Also I guess it flushes out all the toxins as my skin looks so healthy and clean now. Believe me, I have never had this kind of clean and healthy skin before. Since its a light oil, it would suit all skin types. I have sensitive, acne-prone skin and it has not caused breakouts, clogged pores or pimples. On the other hand, I feel it has prevented breakouts and clogged pores by attracting all the oil and grime within the pores. 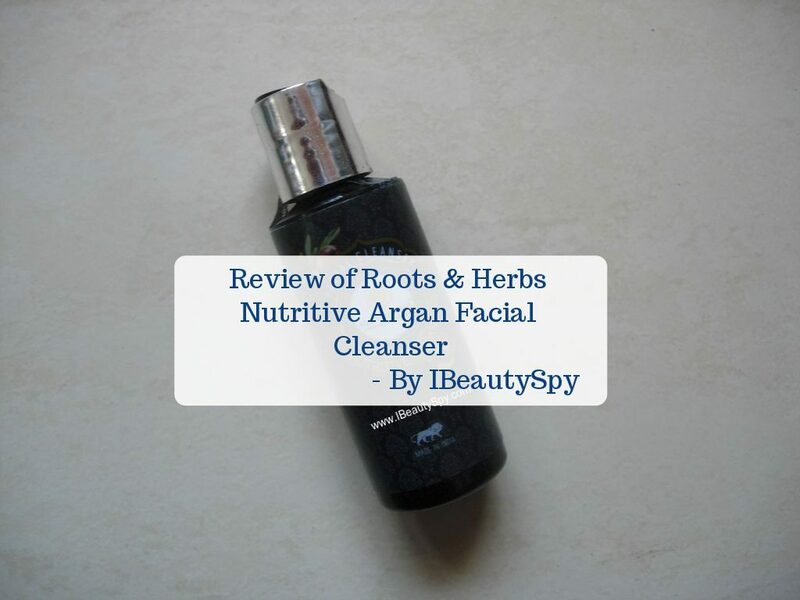 Roots & Herbs Nutritive Argan Facial Cleanser has a highly impressive ingredients list. I like the fact they have included both nourishing oils like argan, rosehip, almond, wheatgerm as well as rosewood oil which is anti-bacterial, lemon oil which is whitening and brightening, lavender oil for relaxing and soothing. * Doesn’t cause breakouts or clogged pores. * Relaxing and calming scent. * Relaxes and calms skin as well. * Deep cleanses skin while also providing deep nourishment. * Makes skin so so silky smooth. * Gives a nice glow and whitens skin. * Helps to heal sun-damaged skin. * Removes dead cells and flushes out toxins. * Gives clean, healthy and nourished skin. * No preservatives as all are natural oils. Packaging can be made more luxurious. Yes. Most cleansing oils are priced higher than this. Roots & Herbs Nutritive Argan Facial Cleanser is an amazing oil cleanser for your first step cleansing. I have seen many Korean brands like Innisfree, The Face Shop having cleansing oils. But if you see the ingredients list, it is full of chemicals. This one is made of 100% natural oils. I would highly recommend this to everyone. And I would purchase it again for sure. 😀 Its really so good!